The Texas Orthopedics family just got a little bigger. We are excited to share the opening of our permanent location in Kyle on May 2nd, 2017. Along with the new office, we are proud to welcome three new physicians, Dr. Ryan Tibbetts, Dr. Joseph Martinez, and Dr. Benjamin McArthur who will be treating patients there. 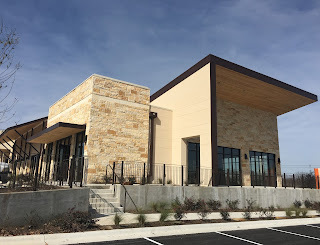 The new Kyle location (4215 Benner Rd., Ste. 300, Kyle, TX 78640; Phone: 512-439-1007) meets the demand of the rapidly surging population in Hays County, located south of Austin. Hays County is currently the fastest growing county in the state of Texas (U.S. Census Bureau). Dr. Ryan Tibbetts specializes in shoulder and elbow reconstruction, sports medicine, and joint replacement. He graduated from Texas A&M University and earned his medical degree from the University of Texas Medical School in Houston. Dr. Tibbetts later performed his orthopedic resident training at Scott & White Memorial Hospital in Temple, and completed a shoulder and elbow fellowship at the University of Texas Health Science Center in San Antonio. He has been practicing in the Kyle area for seven years. As one of only a handful of rheumatologists in the Central Texas area, Dr. Martinez’s focus is on rheumatologic disorders, including rheumatoid arthritis, lupus, scleroderma, vasculitis, gout and osteoporosis. He received his medical degree and completed his residency at the University of Texas Health Science Center at Houston and subsequently completed his fellowship training at the LSU Health Science Center in New Orleans. Dr. Martinez has also authored medical articles and abstracts and presented his findings at several scientific meetings. In June, Dr. Benjamin McArthur will be joining the practice in Kyle. Dr. McArthur’s expertise is in complex hip and knee replacement surgeries, hip preservation surgery, and corrective revisions of prior surgeries. He graduated from both Rice University and Baylor College of Medicine before completing his orthopedic residency at the Hospital for Special Surgery in New York City. Dr. McArthur fulfilled a fellowship in adult lower extremity reconstruction at the Mayo Clinic. Services that will be offered at the new Kyle location include general orthopedics, sports medicine, joint replacement, rheumatology, infusion therapy, physical therapy, and onsite X-rays.